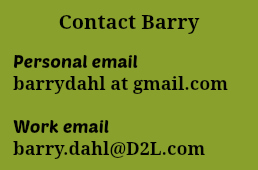 Barry Dahl began working as the Sr. Community Manager at D2L in May 2012. 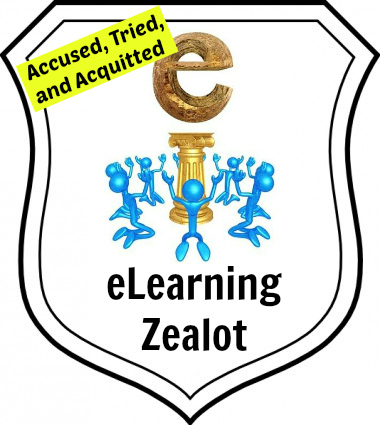 For 16 months prior to that date, he was an independent contractor and consultant with a focus on e-Learning and educational technology. Barry has many years of experience as a keynote speaker, conference planner and host, e-Learning quality improvement consultant, strategic planning for e-Learning growth and e-Services development, creating and analyzing surveys related to online learner satisfaction and engagement, in addition to providing on-campus and online workshops. Barry previously served as the Vice President of Technology and Lake Superior Connect e-Campus at Lake Superior College (LSC) in Duluth, MN, where he was the senior administrator in charge of online learning. As Chief Technology Officer at LSC, he had primary responsibility for the Computer Services department, Web and Information Services, and the e-Campus known as Lake Superior Connect. Barry has two accounting degrees from Arizona State University, and served as an accounting faculty member for a total of 17 years, including 11 years of appointments at ASU, Florida Atlantic University, University of Minnesota Duluth, and then six years at LSC. Barry served on the Board of Directors for the Instructional Technology Council from 2007 to 2011. The board concentrates on providing useful services to members schools (over 300) and holding the annual e-Learning conference at different sites around the U.S. He also served a two-year role on the Executive Committee of the Minnesota Online Council serving the first year (’05-06) as Chair-Elect and the second year (’06-07) as Chair.